The first thing I heard about “Monster Hunter: World” was that it, like too many other games being released, was apparently worthy of a comparison to “Dark Souls.” Immediately skeptical, I purchased the game and loaded it up. What I got was an experience unlike anything else in gaming at the moment. True to its title, you hunt monsters. Lots of them. But you also engage with and experience a lush, beautiful world, and use things you collect on your journey to arm yourself in order to fight bigger, badder monsters. Dark Souls? Not hardly. But that doesn’t mean it isn’t worth your time. “World” is the latest entry in the “Monster Hunter” series, which has long had a cult following. The game immediately drops you into the action, forced to run from a giant monster and dumped unceremoniously into a strange new land filled with (what else) tons of monsters of different kind and strength. 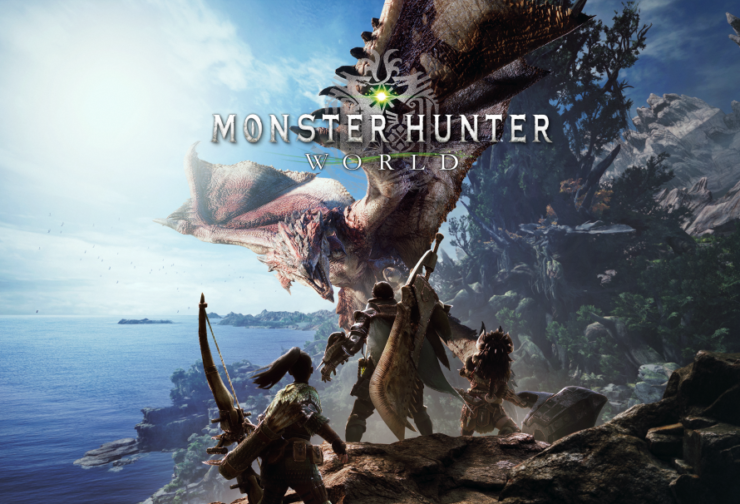 Hunting monsters is fun and challenging, with each different monster bringing with it a specific set of challenges to overcome before you defeat it. Learning how to set traps, use the many different weapons available, and all of the other small parts of “Monster Hunter” means this game has a bit of a learning curve, but failure at the beginning is expected by the game, so it never feels too bad to have to try and kill a particular monster multiple times. Every brave adventurer needs a companion, and in “Monster Hunter,” that companion is your Palico, an anthropomorphized cat that follows you around and helps you on your adventures. You can customize your Palico just like you can customize your own character’s appearance, and these little guys are invaluable to the experience, since not only do they help you in combat, but when you’re just around exploring, they help gather resources. My Palico is named after my own cat, Vincent, and it’s nothing but sheer delight to watch a little avatar of him run around the game world with me, going on adventures. So why the “Dark Souls” comparison? Well, despite being the easiest game in the franchise for new players to pick up, there is still a lot to learn when you start playing “Monster Hunter.” Complex crafting systems (each monster you slay opens up the option for a new armor set for both you and your furry friend), tons of different kinds of missions, statistics to watch for and buffs to know how to get…. Safe to say, the game can be more than a little intimidating for a newcomer. “Monster Hunter” gets a lot of its fun from the fact you don’t have to hunt monsters alone, but can join a party with your friends and go out slaying together. This helps new players become more acquainted with the minutiae of playing the game, since they have friends to help them through it. While the difficulty of the monsters does increase the more people are in your party, the benefits of playing with other people far outweighs the difficulty spike. The game also has a handy “SOS Flare” mechanic, for when you’re alone and in over your head. Just fire off the flare and other players on your server will come to your aid. “Monster Hunter: World” has a giant environment in which players can run around, killing monsters to their heart’s content. While the game does come with a heavy bit of learning to do, the multiplayer opportunities and complexity of the game world make this a rewarding and challenging experience to play. “Monster Hunter: World” is currently available for the PlayStation 4, Xbox One, and will launch on PC this fall.